There is a large, beautiful lake a five-minute walk from my office. I have worked in that building for almost three years, stared vaguely out at the lake hundreds of times, but it really didn’t exist for me for me except as a concept. Certainly I had never actually been there. I thought I had no time for the lake because my job is high-profile and high-stress and high-meetings and high-decisions and blah blah humblebrag. But really, I made my work life more of all those things because I thought I had to be beyond perfect 21 hours of the day. Because I spent the other three drinking, which as I saw it negated anything that might have been good or worthy in me. So no slack for me outside of those drinking hours. Well. Last week I ran into a former co-worker in our company cafeteria. We walked back toward our respective buildings together, chatting and catching up. When we reached my turn-off point, she gestured to the right and said, ‘I’m heading to the water. Nice seeing you!’ Reader, I actually had to stop and think for a moment: wait, what? Where is she going? There was a doggie water fountain in the direction she’d pointed–was she going there? She’d have to kneel down just to drink! Light dawned slowly (embarrassingly so). She was going to walk to the lake, where presumably she intended to sit down and eat her lunch. Huh! I smiled to myself. Well, she is French, I thought, and I went back to my office and crammed down my salad while answering emails and listening in on a conference call. But the idea stayed with me all day. There’s a lake. Why can’t I go to the lake? I want to see the lake. Lake lake lake! The next day I walked to the lake at lunchtime, but I barely looked at the water. It was all the other little details that caught my eye. An espresso cart. A fountain play area with a naked baby going hog-wild in it. 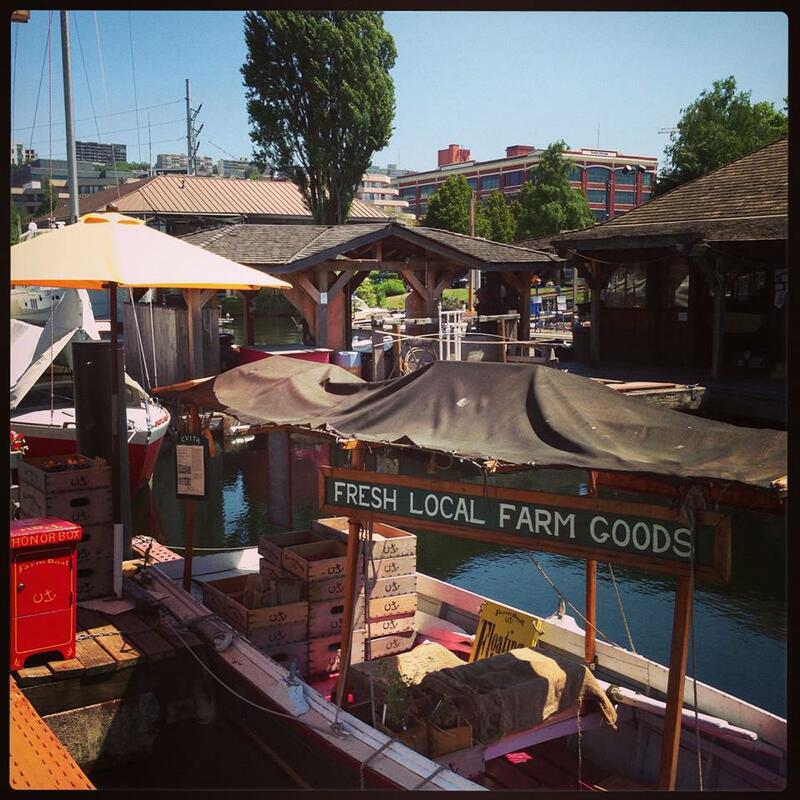 And most of all, this tiny farmer’s market on a boat, selling strawberries at $2 a pint on the honor system. For some reason it was the honor-system part that teared me up. Let’s leave this small transaction to trust. I suddenly wanted a berry more than anything, but a debit card was all I had on me. So I just sat in the sun, watched ducks and kayakers, saw a woman who works for me stretched out on the grass reading on her Kindle. So much to see and smell and eat, right within my grasp, and I’d never noticed before, never even let myself wonder what was here. Sobriety slows you down like this. Makes you think, I can have these things too, I can take my time and look around, even I who am kind of a disaster can have this. I wish I could have been kinder to myself when I was drinking, and ideally before I was drinking. But at least I’m learning now. Next Oh, is that all? I know this is over 3 years ago but I love how you are suddenly seeing small details in your life and especially love how you are learning to show yourself a little love. I’ve been in Al-Anon for 6 months now and at the point of learning how to show myself a little love.